Normally this time of year the sweet chestnut trees are dropping their fruit in abundance, however, due to the abnormal weather this year the trees haven’t got the usual volume. The sweet chestnut trees are usually wind pollinated in the dry, warm summer air. The cold, damp air this summer hasn’t allowed this to happen so there are fewer, smaller nuts as a result. My philosophy of only taking what I need has had to take a back burner this year as there’s barely enough for the wildlife to eat. 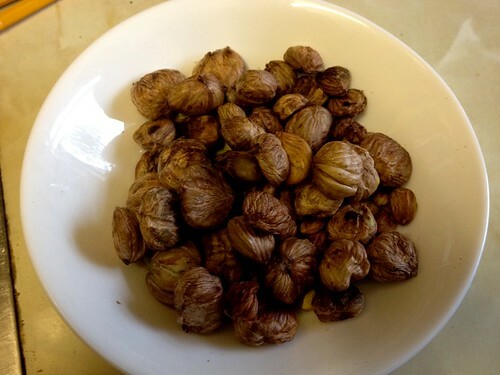 I foraged only a few chestnuts and have adapted my normal chestnut stuffing accordingly, substituting some of the chestnuts with bought pistachio nuts. Take off the heat and set aside. 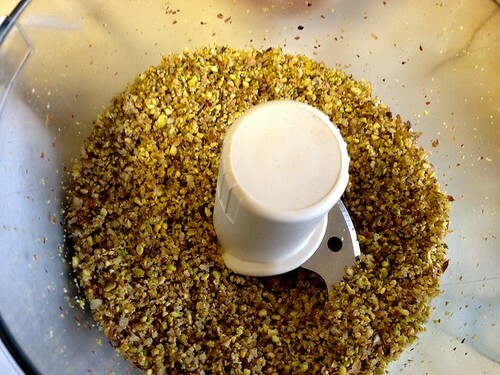 Place chestnuts and pistachios into a blender and blend until finely chopped. 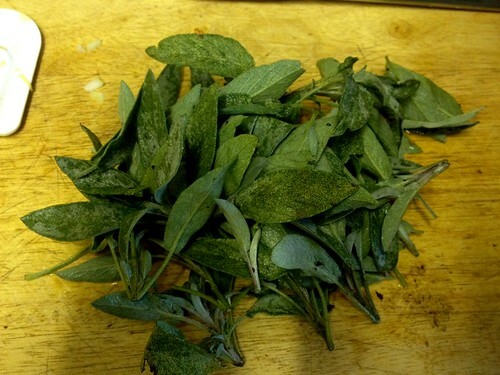 Place sage on a chopping board and remove any woody stalks. 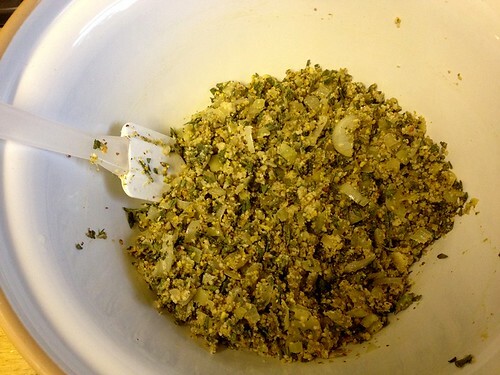 Chop the sage well and place in a large mixing bowl. 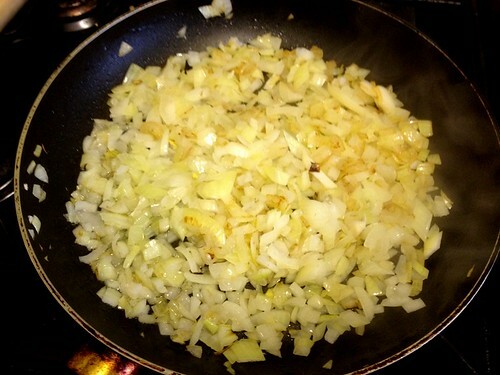 Add the chopped nuts, the fried onion, the rusk/breadcrumbs, onion salt and a generous amount of seasoning (salt and pepper). 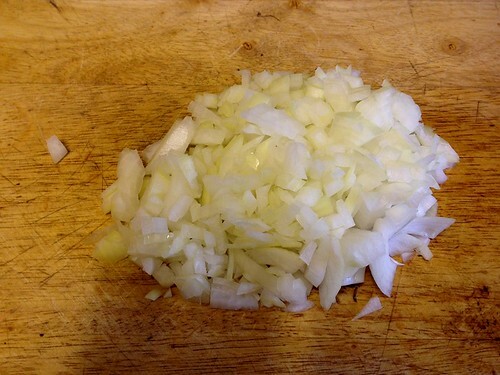 Mix together well, adding a few tablespoons of boiling water to bind. 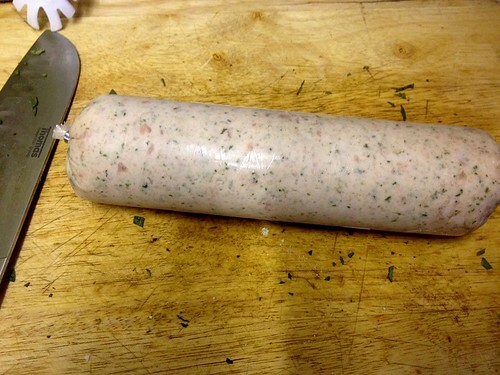 Break up the sausage meat into pieces and add it to the mixture. Mix in the sausage meat well, I like to get my hands in at this point to make sure it’s properly mixed. Take an amount of mixture in your hand and roll into a ball around the size of a satsuma. Place on a plate. 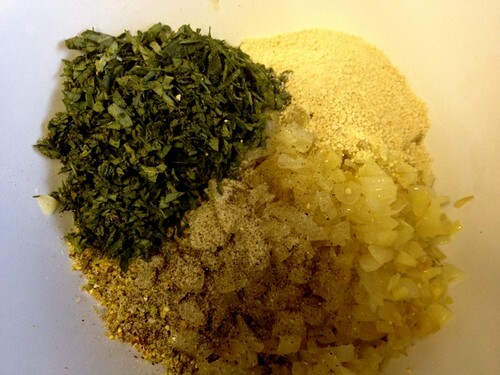 Repeat until all the mixture it used up. 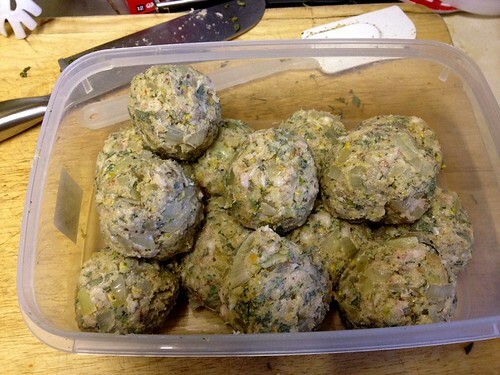 You should end up with several stuffing balls (I ended up with 14 this time). I place mine in a tupperware container and freeze until Christmas when I defrost and cook in a hot oven at 190c until fully cooked through and a brown on the outside. 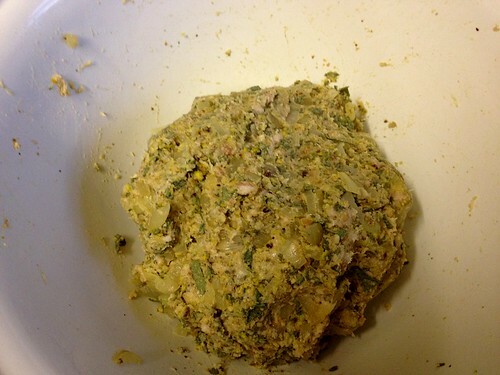 They make a very nice stuffing to accompany turkey, goose or best of all, pheasant.